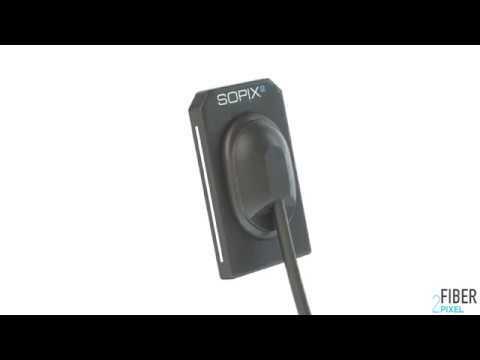 The Sopix series digital x-ray sensors improve your daily work as it is easy to use and has an outstanding image quality. Sopix sensors surpass the limits of radiological examinations by offering greater differentiation of dental tissue. This technological achievement is based on the use of broad spectrum optical microﬁ bres for the guided transmission of photon emissions in order to provide highly contrasted images. With proven quality and reliability, SOPIX produces a high quality image at an affordable prices. Rounded edges and corners for improved patient comfort.